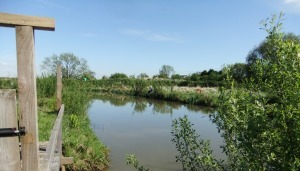 Viking Fishery is set in rural countryside near the Aire and Calder Canal in Pollington, East Yorkshire. 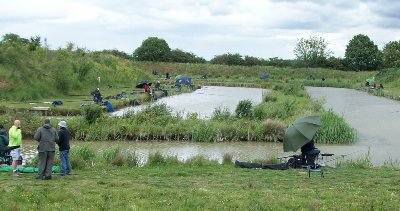 We are a family run business specialising in coarse fishing for club matches and pleasure. 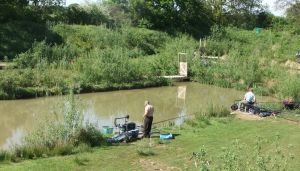 The fishery comprises three ponds which are stocked with Common & Mirror carp, tench, barbel, chub, ide, skimmers and perch. Day tickets can be obtained on the day: Adults £7, Concessions £5. For more information on matches please contact Laurie or Margaret on 01405 785206 or 07813 824270. Our ponds are very much that! They were designed and dug by Laurie and Margaret from scratch. Deer pond is the most established and runs north-south down the fishery. All the ponds are stocked with a good blend of fish. The average distance between the fishing pegs and the islands is 13m and there is ample space between each peg; the majority of pegs are accessible by disabled anglers. Parking and toilet facilities are provided. Deer pond runs down the left hand side of the site; it is the oldest pond, first opened to anglers in 2007 and has 24 pegs. The middle child! Opened in 2008, shortly after Deer pond, Fox is a long pond at the back of the site and has 16 pegs. Hawk is the youngest of our three ponds. Opened in 2010, Hawk is a u-shaped pond around a steep mound and has 33 pegs. Here are the next five upcoming matches that will be held at Viking Fishery. For more matches click the button below. These are the most recent results. Please be patient, the fish don't update the website when they get caught!